Back in high school, I was extremely involved in student government. In 2009, I was in my sophomore year and decided to apply for a position with the state executive board as a charity coordinator. When I was appointed, I was so excited and immediately started looking for a charity that we could support—that’s when I found Blood:Water. One of my friends first showed me an informational video about the organization, and I was beyond moved by what I saw—it was a moment of clarity and humility for me. It took three minutes for my eyes to be opened to realize that I took everyday luxuries, such as health and access to clean water, for granted. So that day, I went home and told my parents that I didn’t want any presents for the coming Christmas. Instead, I donated the money that they would have spent on gifts to Blood:Water. Almost six years later, I was completing my senior year at Belmont University when I found myself desperately needing more fulfillment in the service aspect of my life. It was then that God brought Blood:Water back to the forefront. 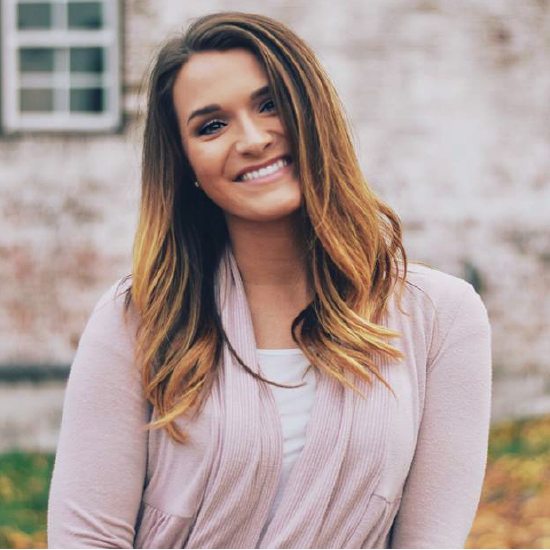 When my former boss at Belmont University, Audrey Milicevic, left her position to become the relationship specialist at Blood:Water, I was reminded of the incredible work the organization does, and felt called to apply to be an intern. Plus, Audrey is the best boss ever (she made me include this sentence). It has now been four months since I started at Blood:Water, and I have never felt more fulfilled! I am reminded daily of what it looks like to live life with a servant’s heart. This organization, its mission, and its people have reminded me that God is constantly using us as instruments for His kingdom—that when we focus a little less on ourselves, when we selflessly hand our hearts and our able bodies over to the Lord, lives can be forever changed, including our own.